In marketing, one of the most important terms that you need to keep in mind at all times is “focus.” In order to run a successfully executed campaign, you need to remove as much of the superfluous noise from your materials as possible and boil it down to the core essentials. You can’t appeal to all people all of the time, which is why focusing on creating the right message and using the right delivery channels is so important. Buyer personas are a concept that allow you to do just that in a host of different ways, all of which are beneficial to you and your team moving forward. In marketing terminology, a buyer persona is essentially a person that doesn’t exist. They’re a fictional representation of the type of person who is most likely to buy your product or service after hearing your marketing message. Buyer personas are created using as much actionable information about your ideal customer as possible: How old are they? Where do they live? Do they have any children? How much money do they make? What types of products have they purchased in the past? What do they like? What do they hate? If you knew all of the answers to those questions when talking about a real person, you’d already have a pretty vivid picture about how that person acts and what their personality is. You’d certainly have an easier time talking to that person and relating to him or her – which is what buyer personas are all about in the first place. By creating a fictional representation of the person who makes up your ideal customer, you always have something to refer to when crafting your marketing materials. Say your business’ buyer persona is Jane – she’s a 35-year-old mother of two with a combined household income of $150,000. Instead of “throwing everything and anything at the wall and seeing what sticks” in terms of your marketing campaigns, you have something to compare your techniques to. How does your product or service fit into Jane’s life? How does it solve a problem that she has? How does it align with past purchases she’s made? 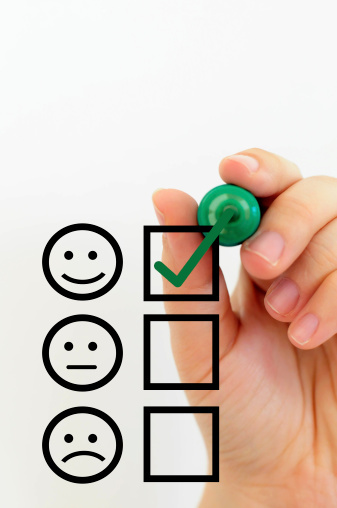 The answers to these questions will drive your marketing decisions moving forward. Creating a buyer persona requires you to be two things at all times: detailed and accurate. After you’ve been in business for an extended period of time, you have access to huge volumes of data regarding things like market research and even your past customers that you can draw from. To a certain degree, all of this data should dictate the buyer personas you create, which in turn should dictate the direction of your marketing. Are a significantly large number of your past satisfied customers men between the ages of 18 and 34 who have no kids? Congratulations – you have the basic framework to begin building a buyer persona. Any marketing technique that isn’t directly appealing to that specific type of person is one that you now need to re-think. It’s important to not go “too far” when creating buyer personas, however. If buyer personas are all about focus, going out of your way to have too many personas is a great way to instantly undo all of the benefits that you’ve just worked so hard to build for yourself. Focus on a few core types of customers and craft buyer personas for each, and then compare every marketing move that you make against the information you’ve compiled for guidance on what to do next. As American actor and social icon John Wayne said, “Courage is being scared to death …and saddling up anyway.” Observed acts of courage are nourishing to the spirit and inspiring to all of us. In business, this is just as true and important as it is anywhere else. Three company leaders who went above and beyond the call with their courage, demonstrating the kind of direction that characterizes great leadership, are the CEOs of Bluebell Ice Cream, Canada’s Maple Leaf Foods, and Southwest Airlines. After many were taken ill, and three people died from a listeria bacteria contamination of Blue Bell ice cream products, the company voluntarily recalled some eight million gallons of their ice cream products from retail shelves. Once the severity of the situation was known, CEO Paul Kruse recalled the products and initiated a program of employee training and plant sanitization that would take four months to complete. Four facilities in three states had to be sanitized and thoroughly inspected and tested for the presence of the bacteria before production could resume. There was the distinct possibility that the company would be unable to financially survive this hiatus while 1,400 employees were laid off, and an equal number being partially furloughed. Kruse secured capital from an outside investor and saved the company. A similar circumstance faced Maple Leaf Foods’ CEO, Michael H. McCain, when numerous deaths were attributed to contaminated meat produced by his company. Meeting the obvious media interest, he stood resolutely in front of the cameras accepting responsibility for the problem. Not all leaders are cut out to handle this kind of pressure, or deliver a necessary and potentially disastrous response with this much courage. An old, Latin proverb tells us that fortune favors the bold, but abandons the timid. Maple Leaf Foods was saved because of McCain’s bold resolve and dedication, which rested on the foundation of his courage. The CEO of Southwest Airlines, James Parker, displayed a similar courage in the face of a different kind of threat. Deep in the shadow of the recent horrific events of 9/11, the trend for businesses was to cut workforces and pull back on expansion projects in the recognition that far less prosperous times may lay immediately ahead. But, while these fears gripped industries nationwide, and particularly the airline industry, one airline CEO made the brave choice to buck this trend. Only three days after 9/11, Parker announced that Southwest would not be cutting employees, and in fact, would be keeping them all, as well as initiating a new profit sharing program with them. These CEOs are cut from a different cloth than some, such as those from some of the large Wall Street banks prior to the 2008 crash, as well as Enron and WorldCom, to name a few. These companies were unable to find the ethical internal compass to reject risky operating plans in the name of artificially elevated profit taking. The scandals that ensued in each case demonstrate a lack of courage and a lack of commitment to ethical standards in business. True courage in leadership is as valuable as any given asset for an organization, no matter how large or small. Ernest Hemmingway said that courage is grace under pressure. The three CEOs of Maple Leaf, Blue Bell, and Southwest certainly had an element of grace under pressure, but they had more than that. Echoing what John Wayne said, author Arthur Koestler wrote, “Courage is never to let your actions be influenced by your fears.” These three men did not let either notions of greed, nor the fear of failure sidetrack what they knew they needed to do. They saddled up, anyway. 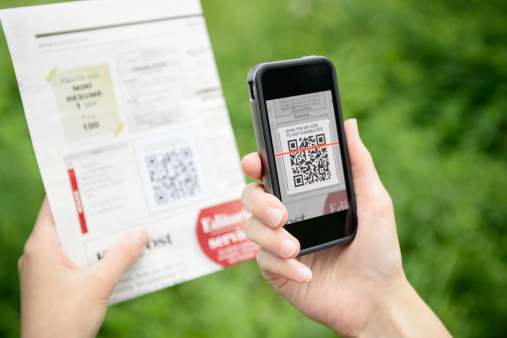 In today’s world, one of the single best opportunities that you have to leverage the power of both digital and print campaigns at the same time is with a well-placed QR code. Short for “quick response code,” a QR code operates on the same basic concept as a barcode, but can be used to accomplish a host of different things given the circumstances. If your goal is to use QR codes in your print campaigns creatively (as you should be), there are a few key avenues you can choose to pursue. If you’re only using QR codes as a substitute for a hyperlink, you’re not coming close to unlocking the benefits of this technology. Consider the example of a restaurant that uses QR codes for customer education. There’s only so much information that you can fit on a “take home” menu before it starts to get unwieldy. The larger that menu is, the more likely it is to get thrown in the garbage because it’s difficult to store long-term. If you were a restaurant owner, you might include an abbreviated menu featuring just items that are available to carry-out as a print marketing material. The QR code on that same menu, however, can be used to instantly educate the user about what your restaurant looks like, what items you have available for dine-in visitors and more. The physical print information that the customer is receiving is contextually relevant, in that dine-in options aren’t necessarily on their mind if they’re looking to order in. However, they do have access to all of that additional data should the need arise. The customer has everything they need to order in and stay home for the evening if they choose, but you’re also using the opportunity to show them what a great time they’ll have, and what a great selection they’ll be exposed to when they do decide to pay you a visit. More than that, you’re saving physical space on your material and are leaving contextual information in the digital realm. This is the power of a well-placed QR code at work. After the event, however, you can update what that QR code actually does to redirect the user to photos, video and other multimedia elements that were captured while the event was going on. Did a speaker host a question and answer session during the event? Suddenly, that same QR code can be used to deliver all that content right to the user’s smartphone to let them relive the experience (if they were there), or show them what they missed (if they, unfortunately, couldn’t make it). Now, you don’t have to send out another print mailer with updated information because the QR code itself is inherently malleable. It can be whatever you need it to at any given moment with a few quick modifications. A well-placed QR code can do wonders for combining the best parts of both print and digital campaigns together. More than anything, however, it gives the user a choice regarding how they want to view the information that you’re trying to get across. It allows them to pick a forum for the receipt of this data, allowing them to gain exposure to your message in the format that matters most to them. 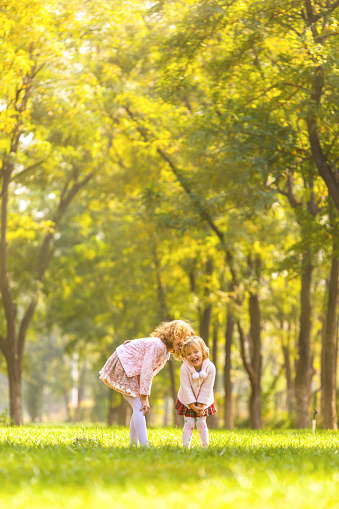 Remember when you were a little kid; how the world seemed different than it does now? A big part of that difference was defined by your innocence as a child. As adults, we look back on childhood innocence with older, more mature eyes, and when we do, we see something almost magical in contrast to our work-a-day world of adult living. What is it that makes childlike innocence so attractive and ultimately inspiring? We were all children at some point, complete with the requisite innocence of childhood and before the experiences of life turned us into knowing adults. While most of us have trouble remembering the innocence of our own early lives, there is no denying that the innocence we observe in today’s small children inspires in us a faint recollection and a distant longing for whatever feeling that was, way back when. Innocence is attractive to us precisely because it is something we have largely lost and cannot regain. We really have little choice in the loss of our innocence. We value experience as a necessary part of being functional adults, so we allow our innocence to die at its hands. That makes observed innocence all that much more attractive to us. We still see flashes of that inherent goodness in adults, but it is usually reserved for times of emergency and imminent danger. Earthquakes, hurricanes, and volcanoes have brought out the best in heroic bravery. We honored the dedication of first-responders to the 9/11 disaster. We see images and videos on Internet social media, depicting the work of individuals who rise to specific occasions helping others in need, from mining disasters to oil spill clean-ups. But for adults, this is the exception, and not the rule. Only in the innocence of children can goodness still be displayed as the norm, as the way children simply are. What is it we see in the eyes of a young child? We see untainted belief in the goodness of human beings. We see the belief in the goodness of ourselves, vicariously re-lived in our young counterparts. We see a willingness to embrace the irrational and an ignorance of the concept of death. The eyes of the innocent are a deep well of remembered truths and valued feelings. What can be more inspiring than the look of a child who sees into your own soul with a clarity that you, yourself, can no longer muster? Innocence, it seems, can be far more powerful than experience. We never completely outlive our innocence, but as adults, we need to spend the time to view its full force in the eyes of our children.